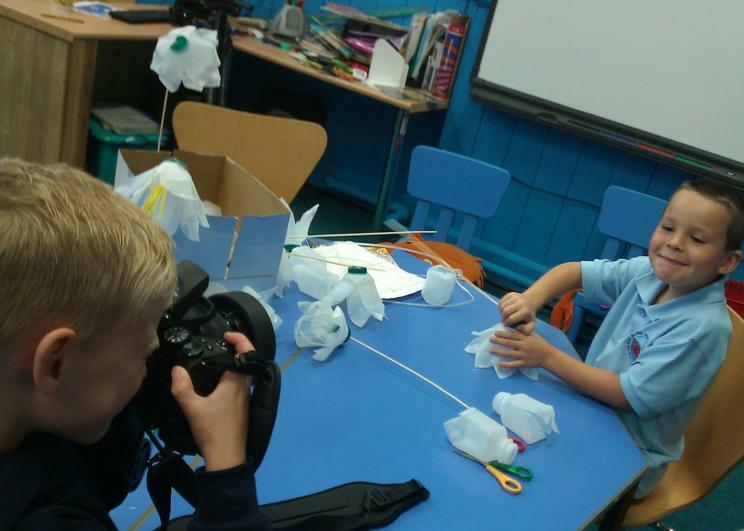 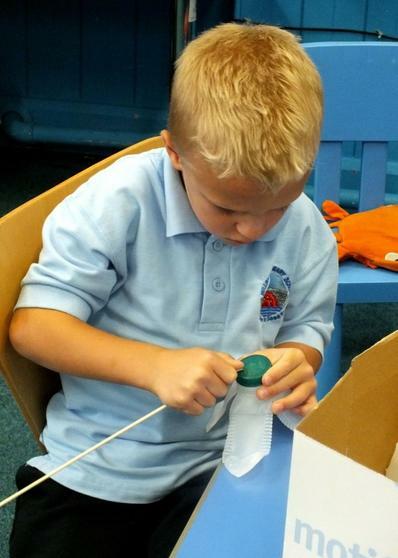 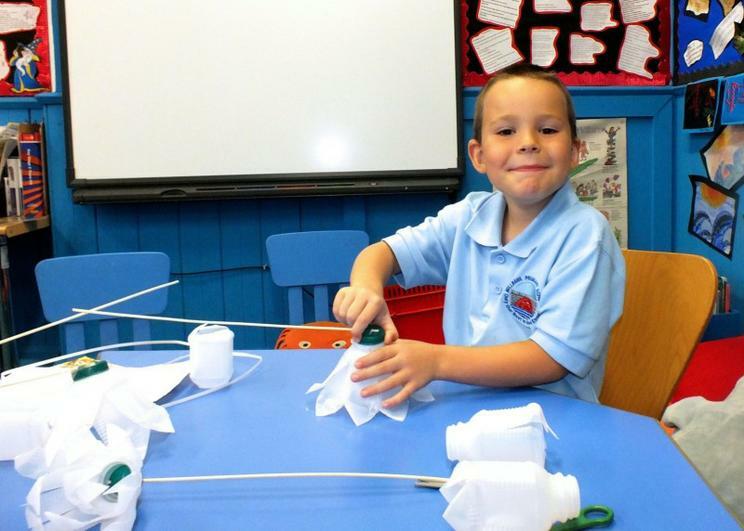 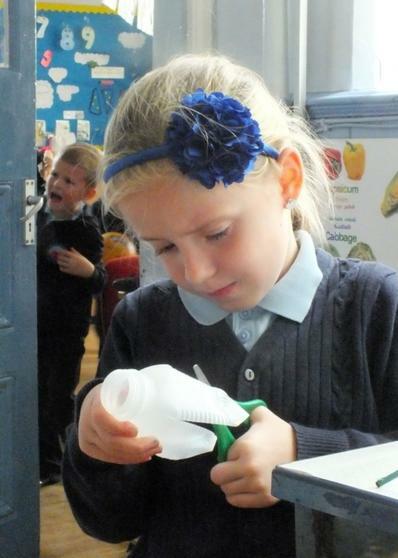 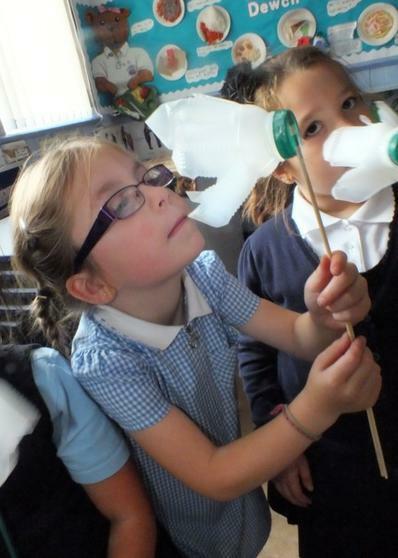 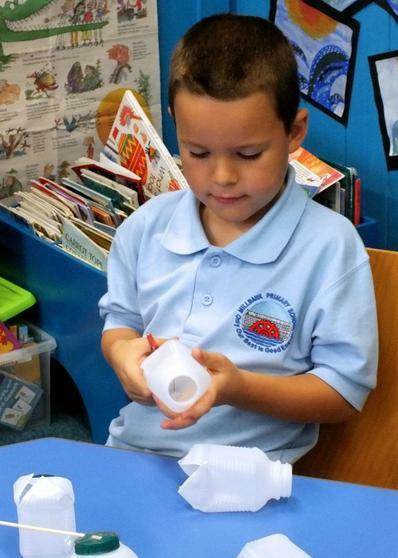 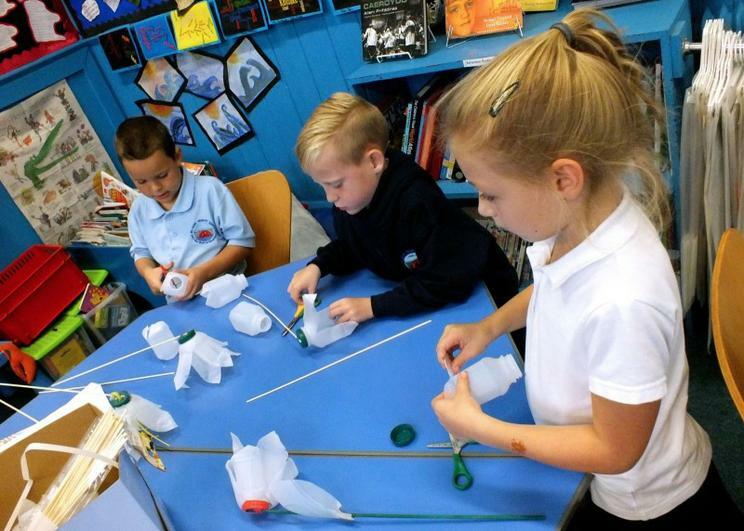 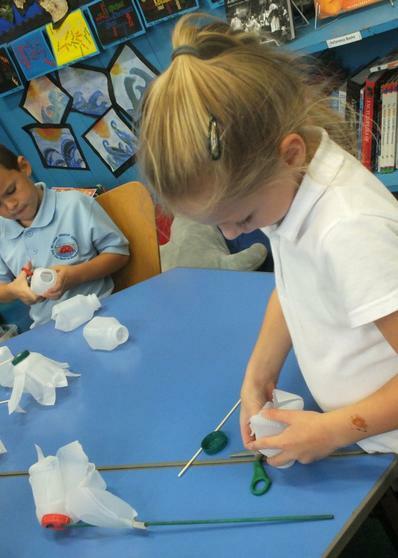 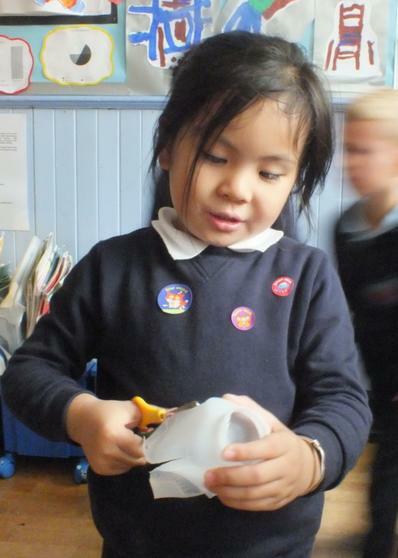 We have been using free resources like school milk bottles to make lots of fun sculptures. 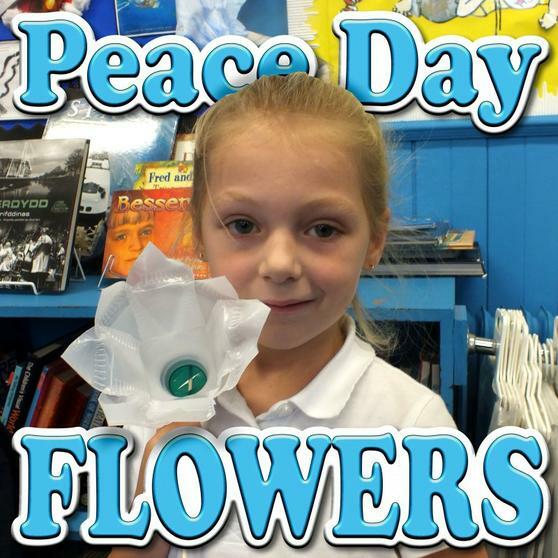 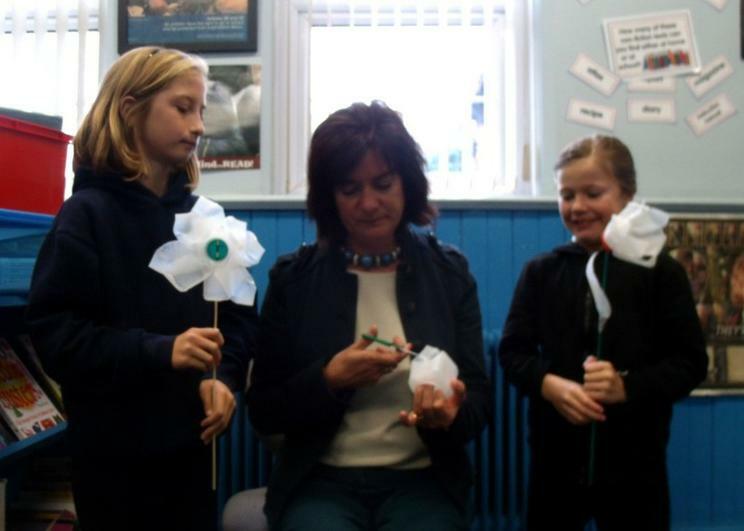 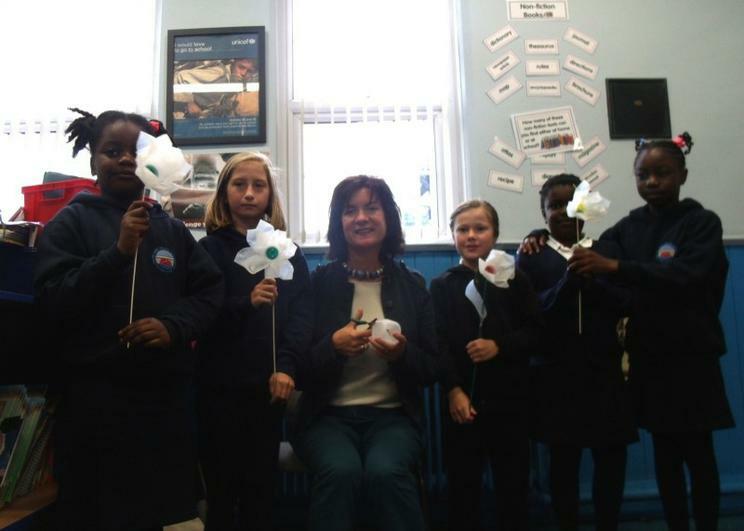 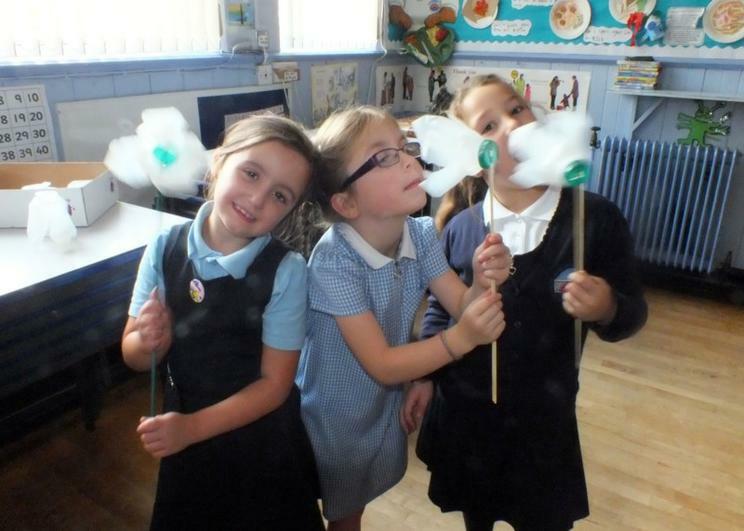 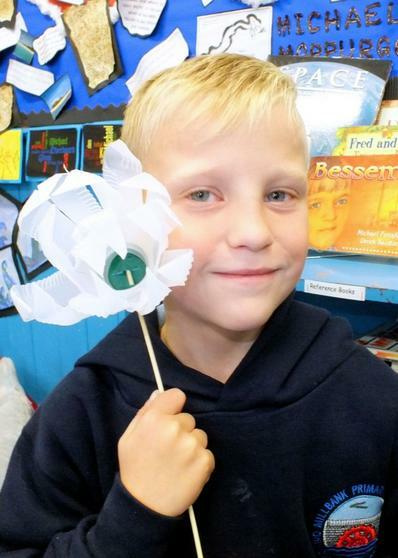 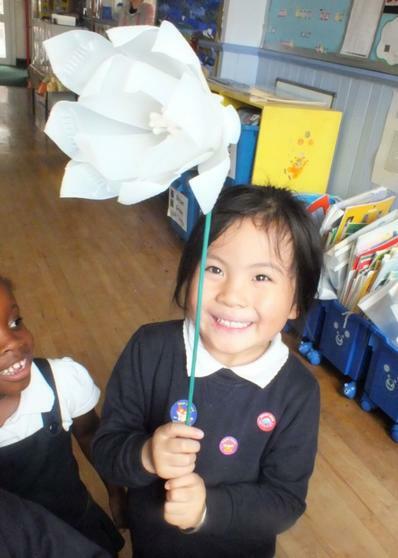 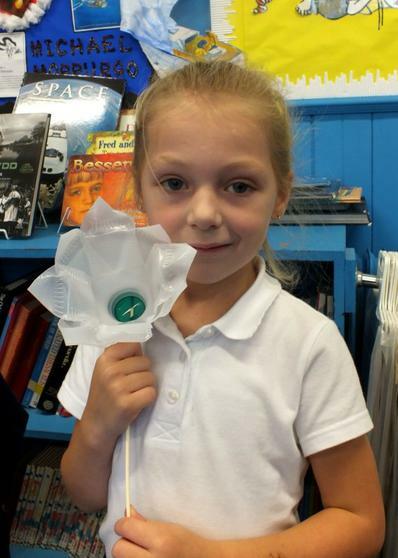 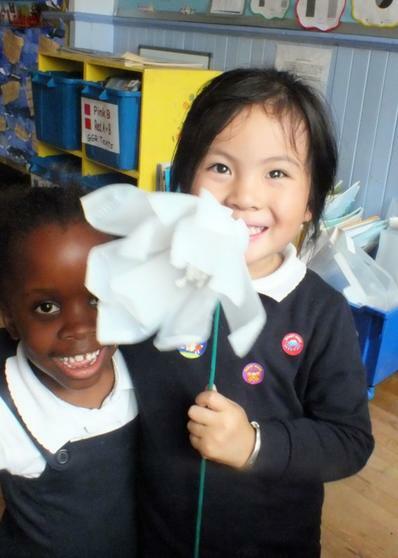 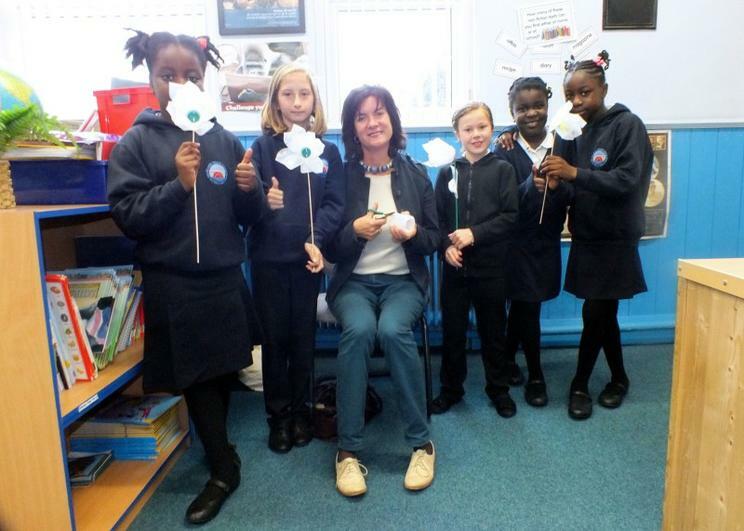 The peace flower is made from two bottles and a stick, we are going to write our peace messages on a leaf made from a 4 pint/2litre milk bottle. 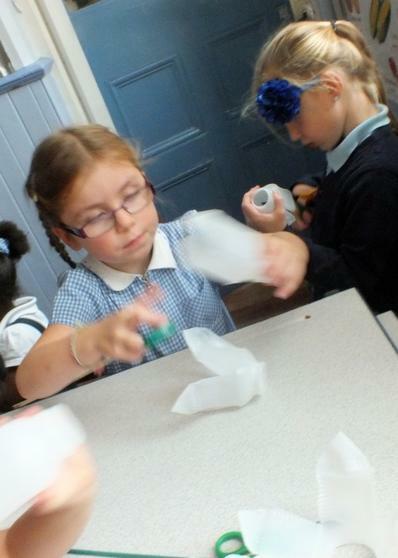 Apart from the stick we have not added anything like paint glitter or anything that goes against the recycling message.